The Village of Lincolnshire is located in southeast Lake County, approximately 34 miles from downtown Chicago. The Des Plaines River bisects the village, passing from north to south; Illinois Route 22 also divides the village into two parts, crossing the village from east to west. The community underwent an aggressive era of expansion from 1983 to the 1990s. Lincolnshire is home to the public Adlai E. Stevenson High School and to the schools that compose the elementary Lincolnshire-Prairie View School District 103. 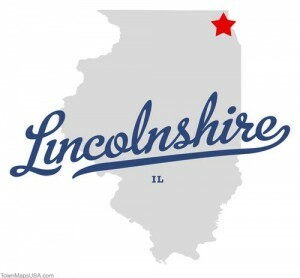 Lincolnshire hosts several annual festivals (including one mirroring the Taste of Chicago) in either commercial establishments such as City Park or the Village Green, or in one of its nine public parks.